Reliable and economical power in a lightweight package, the BF8 is built to deliver complete satisfaction when you're on the water. 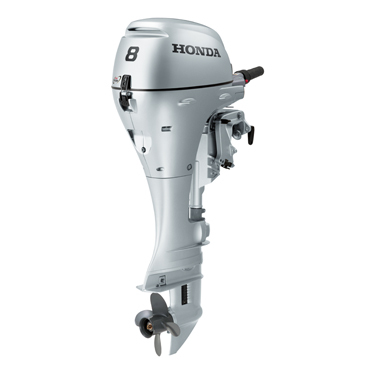 Honda's BF8 has a deserved reputation built on superior reliability and economy. Combining responsive, reliable and economical power in a lightweight package, this engine delivers complete satisfaction. Perfect for use on inflatable boats and small aluminium dinghies, the BF8 is easily transportable thanks to its convenient foldaway carry handle. Honda's world-renowned quality combines proven reliability and superior fuel efficiency, with no oil mixing, resulting in a healthier experience for you and the environment. A convenient, foldaway carry handle is situated at the exact top/bottom balance point of the engine, so that the engine carries more easily in a level position. 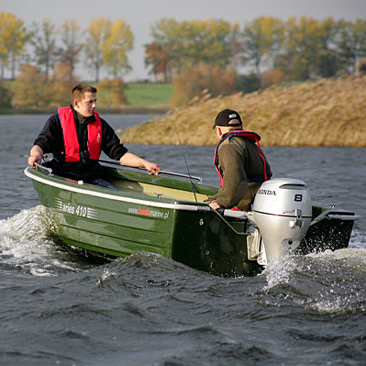 The BF8 has a convenient long tiller handle for increased control and reduced steering effort. The extended handle is also made of a lightweight composite for increased durability and weight reduction. Working together, a built-in decompression release and digital CDI system set the ignition timing during start-up. This greatly reduces the effort required to pull-start the engine by hand - just another way the BF8 makes life on the water easier for you and your family. The BF8 features a patented 'double sealed' multi-layered paint process. Sacrificial anodes and stainless steel technology, along with waterproof connectors, all enhance corrosion protection. 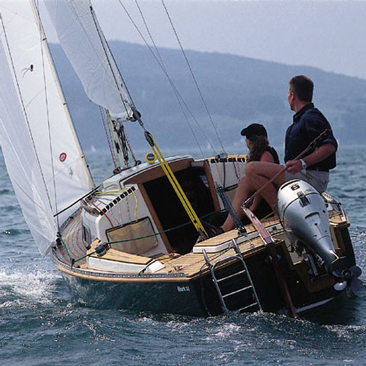 A Fresh Water Flushpoint flushes debris and saltwater out of the engine, extending the life of your outboard. As well as this, a crankshaft-driven, automotive-style trochoid oil pump ensures the long-term durability of critical engine components. These features are designed to allow you and your BF8 will to spend more time on the water, enjoying all that nature has to offer. Honda's exclusive triangulated rubber mount system absorbs vibration and provides unbelievably smooth operation. The Overheat Mode protects the engine from severe damage due to low oil and overheating by automatically reducing RPM. The BF8's Shallow Water Drive allows you to run in shallow water, while reducing the risk of engine damage, and EZ Steer Friction Control allows you to precisely adjust steering tension for improved control. And the BF8 comes with an industry-leading 5 Year Warranty. 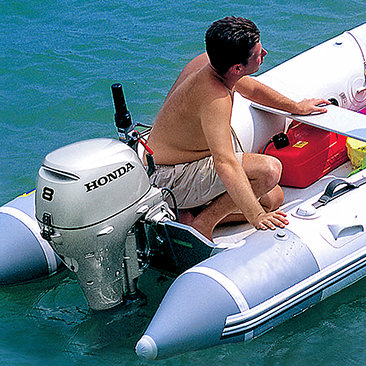 Combined with 100 authorised Honda dealers located all around Australia, it's never been easier to get your boat out onto the water.